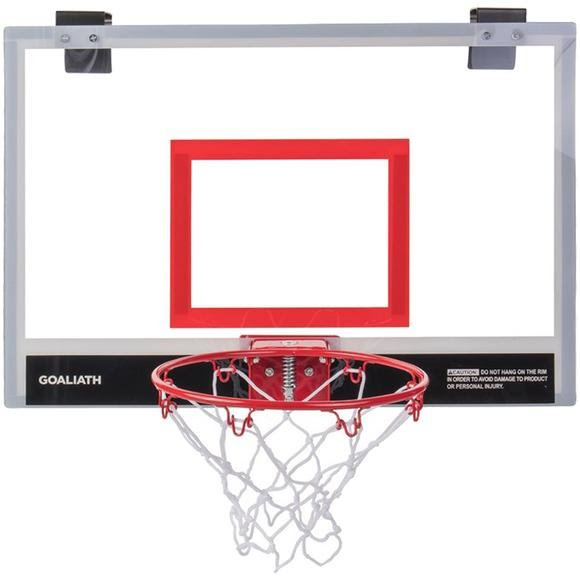 Go Hard at Home, Dominate the Dorm Room, or Own the Office with the Goaliath 23" Over-the-Door Mini Hoop with Breakaway Rim from Goalrilla! It is the most abused aspect of a basketball hoop - and we don't take that lightly. Nobody builds breakaway basketball rims like Goalrilla, our basketball rims are built to the highest levels of safety and durability. Go Hard at Home, Dominate the Dorm Room, or Own the Office with the Goaliath 23" Over-the-Door Mini Hoop with Breakaway Rim from Goalrilla! It is the most abused aspect of a basketball hoop - and we don&apos;t take that lightly. Nobody builds breakaway basketball rims like Goalrilla, our basketball rims are built to the highest levels of safety and durability.